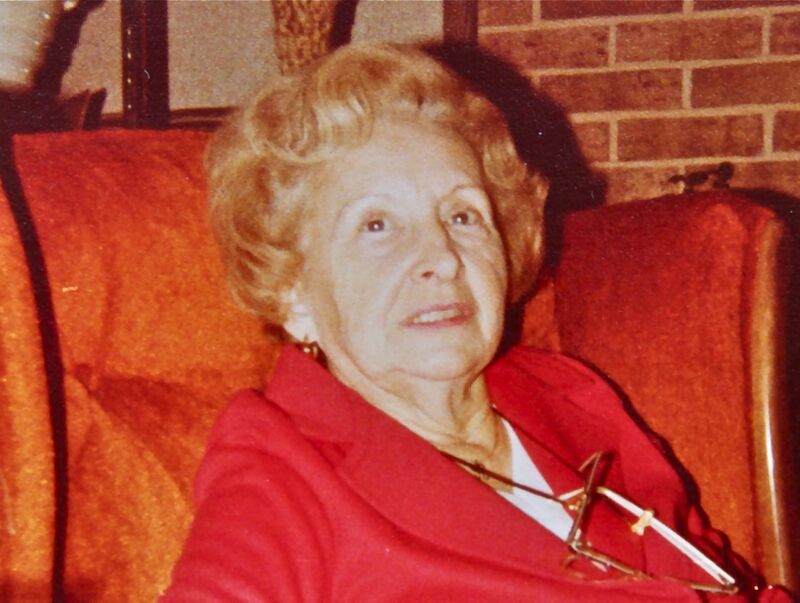 My dad’s mother, Helena Gardiner, would have been 100 years old today. Her daughter, my beloved Aunt Carol, sent me the following few paragraphs in memory of her mom. July 1, 1910, Mama’s birthday — 100 years ago. Think of all that’s happened in the last 100 years! An amazing time to live. And has anything really BIG happened since October 1997 when she left us? Well, 911, the obvious one, she would have been glued to the TV news. The current wars, but she lived through several of them, so nothing new there. IPODS, IPHONES, IPADS, maybe. Facebook? Oil spills, major hurricanes and snow storms, and another financial crisis, like the one that happened in 1929, one year after she was married. She always remembered that as the time she learned to fix ground beef 100 different ways. But I think if she walked in the door today there wouldn’t be a whole lot of news for her to catch-up on, other than why her daughter looks so old, and when did we get a new car. Of course, Karen’s tribulation, but she no doubt caught some of the prayers and was doing a bit of spiritual hand-holding in Santa Fe this past year. I miss her, but so many of her physical idiosyncrasies are my own now. I hear her when I laugh, sneeze or cough, and she still taps her onyx ring on the steering wheel whenever I drive, but when I look it’s my own hand and my wedding rings that are clicking. I see her in my brother’s blue eyes, and remember her excited “Oh, Son, Son!” when he surprised her with a visit a few months before she died. She left us with so many memories. A single mom who would have smacked us if we had referred to her as such, but nonetheless, a woman abandoned to be the sole, if not financial than certainly emotional, support of her three youngsters. A devoted mother who would never talk about dying, even in her advanced years, because she could not imagine leaving her children. A survivor, a successful independent woman before society celebrated I Am Woman, Hear Me Roar! I knew this amazing lady as simply “Grandmother” (she would have it no other way – no shortened endearments like “Grandma” or “Granny” were acceptable!) and, thinking more about that today, I realize her properness had a big influence on me. Her love of nice things – china, silverware, glassware – obviously rubbed off on me! As a girl, I was always impressed that she dressed so impeccably no matter what the occasion was. And so I learned to love getting dressed up and going to her house for Easter and rolling eggs down the hill in her back yard. I recall she always made my dad remove his hat before sitting at the table – and to this day it bugs me a bit when a man wears a baseball hat during dinner. She loved azaleas and roses, and by taking me with her to various public gardens over the years, she helped instill a lifelong love of gardening in her granddaughter. She would have been 100 years old today, but would not have wanted you to know that. Happy Birthday to my dear Grandmother – Helena Gardiner.